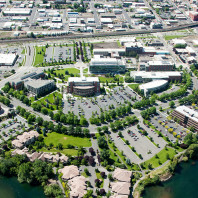 The WSU Spokane health sciences campus sits along the Spokane River on the east end of downtown Spokane. 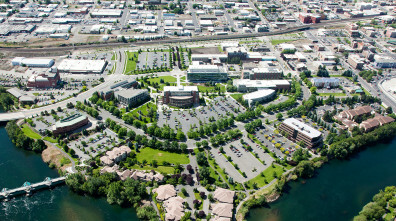 Photo courtesy of Isaacson Aerial Photography. 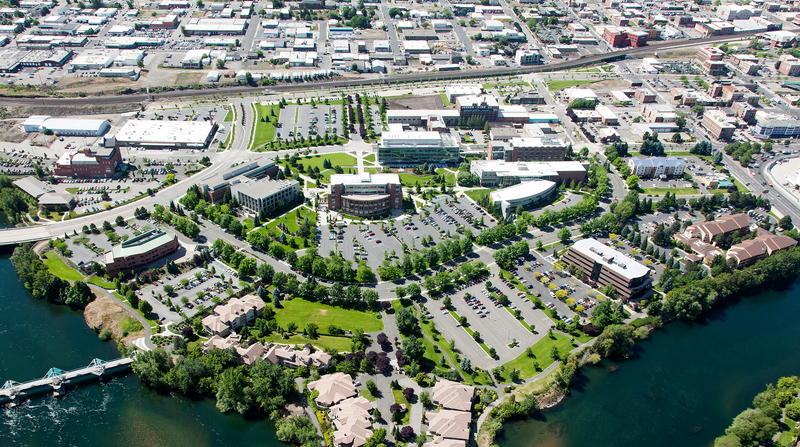 From as far back as Spokane’s early years, the 50 acres a few blocks east of downtown were anything but pretty. By the 1960s, when community leaders realized that area and the rail yards downtown had become a blight on the community, those 50 acres were plagued by waste and neglect. Fortunately, it wasn’t too long after that realization that things changed for the better.